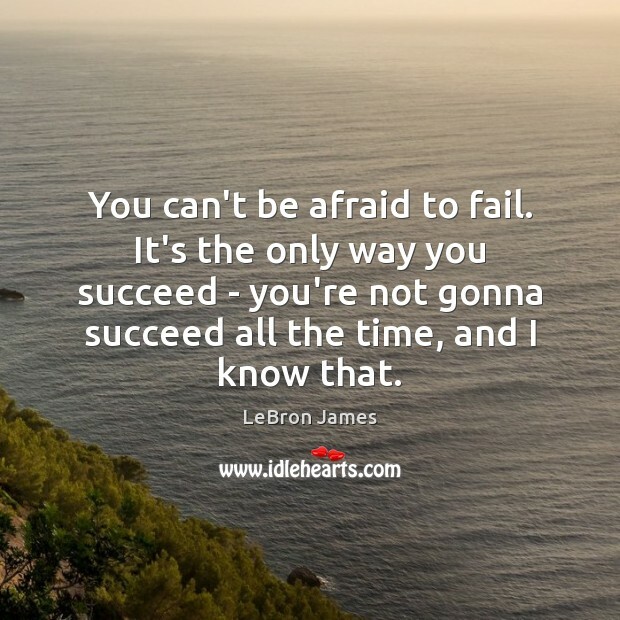 Quotations about Afraid To Fail. Quotes to stimulate mind and drive action! 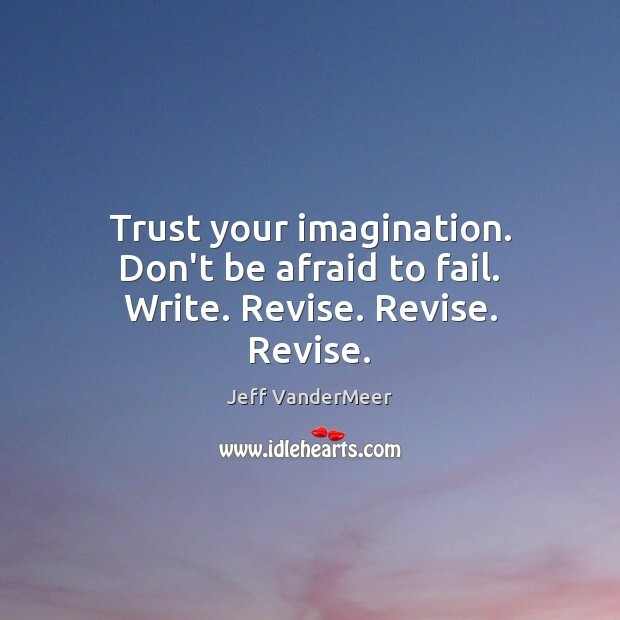 Use the words and quote images to feed your brain inspiring things daily! 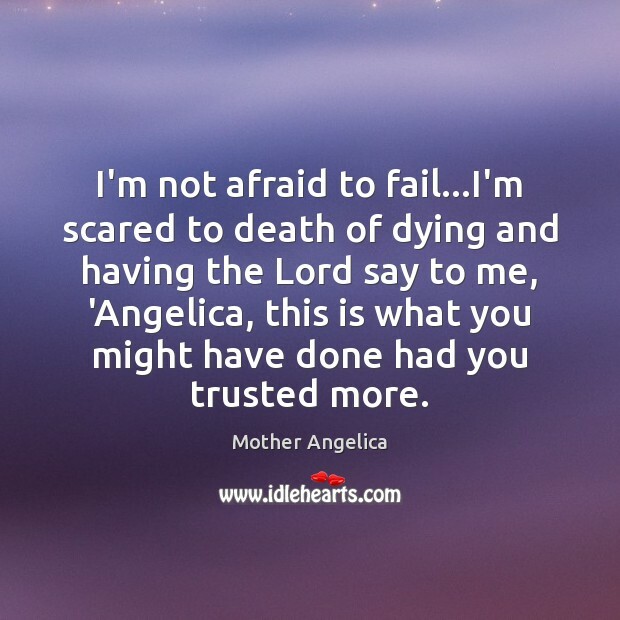 I'm not afraid to fail...I'm scared to death of dying and having the Lord say to me, 'Angelica, this is what you might have done had you trusted more. 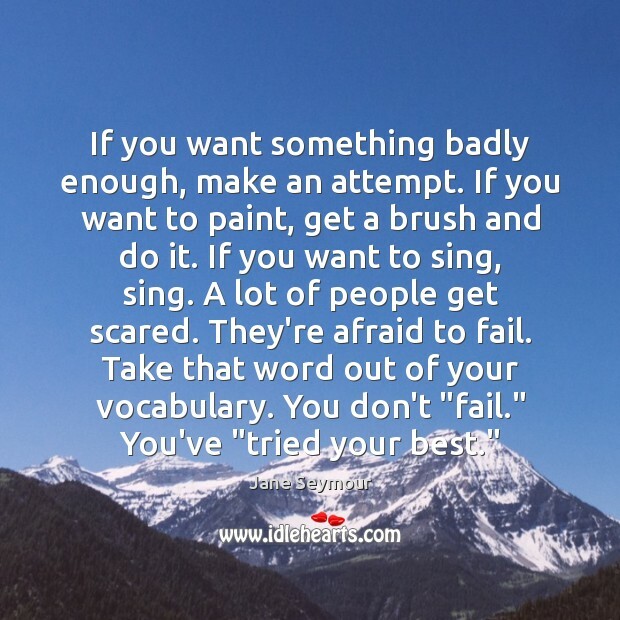 If you want something badly enough, make an attempt. If you want to paint, get a brush and do it. If you want to sing, sing. A lot of people get scared. They're afraid to fail. Take that word out of your vocabulary. You don't "fail." You've "tried your best." 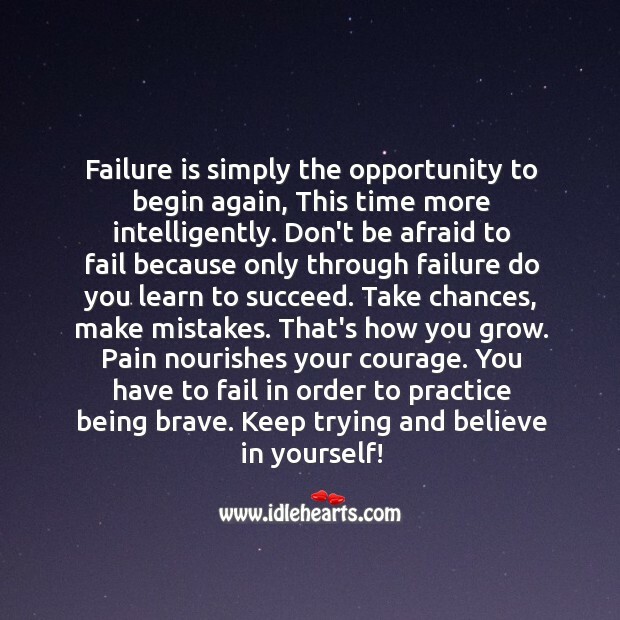 Never be afraid to fail. 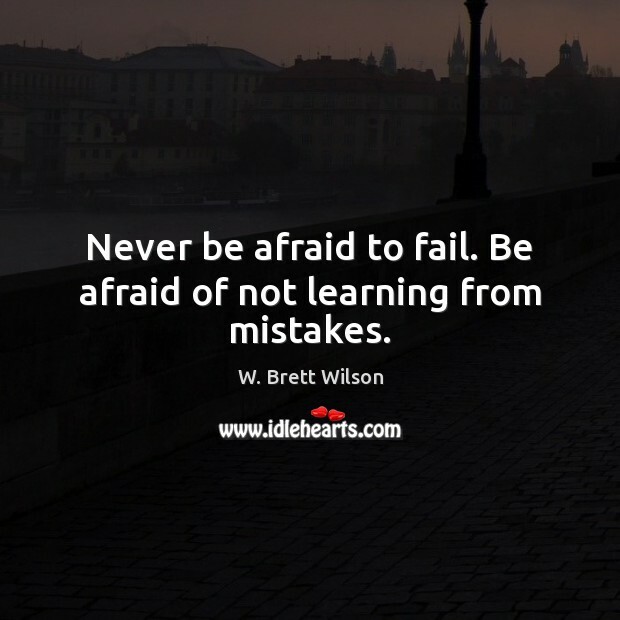 Be afraid of not learning from mistakes. Courageous people are not afraid to fail. 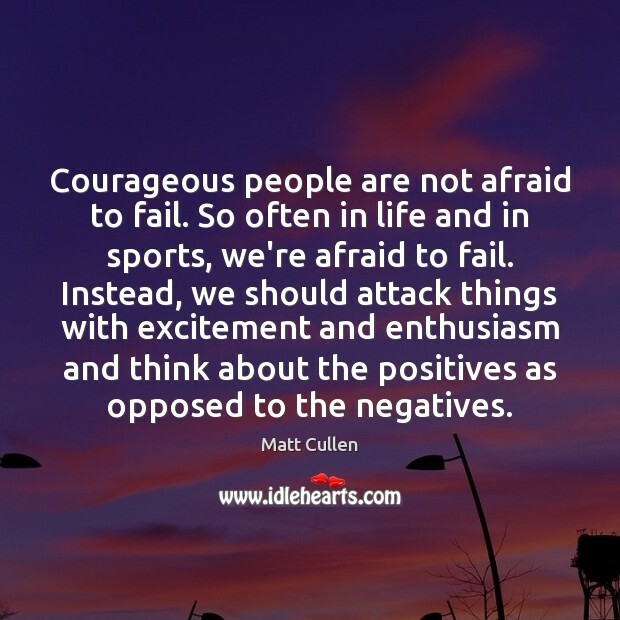 So often in life and in sports, we're afraid to fail. Instead, we should attack things with excitement and enthusiasm and think about the positives as opposed to the negatives. 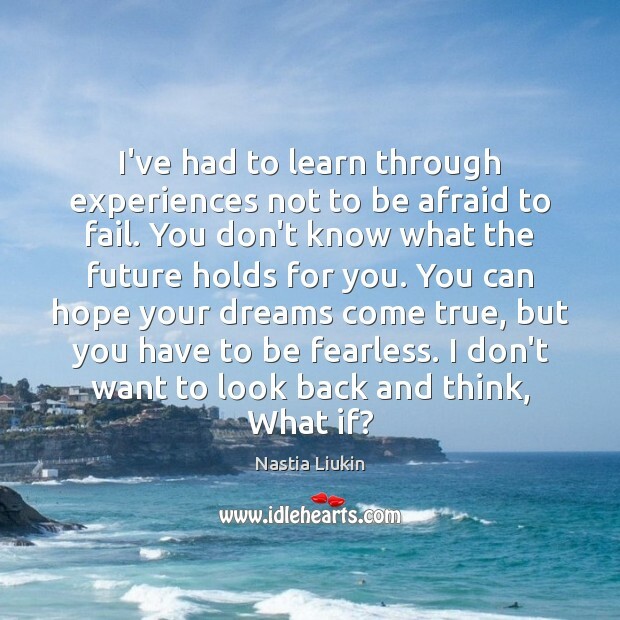 I've had to learn through experiences not to be afraid to fail. You don't know what the future holds for you. You can hope your dreams come true, but you have to be fearless. I don't want to look back and think, What if? 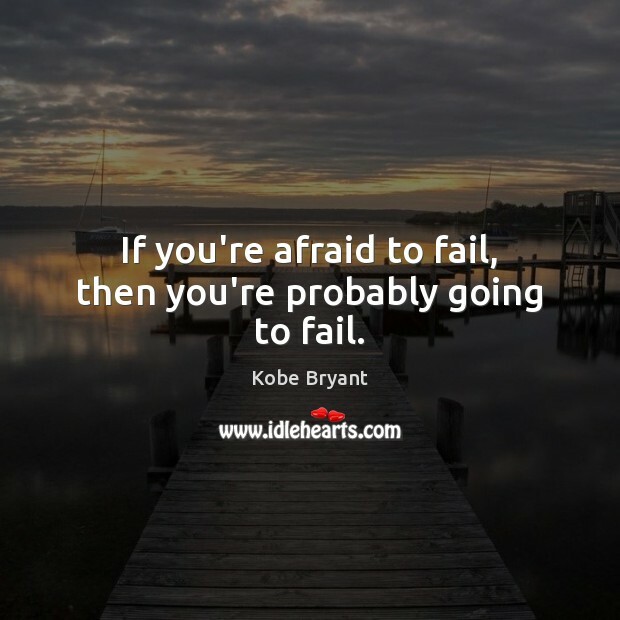 You can't be afraid to fail. It's the only way you succeed - you're not gonna succeed all the time, and I know that. 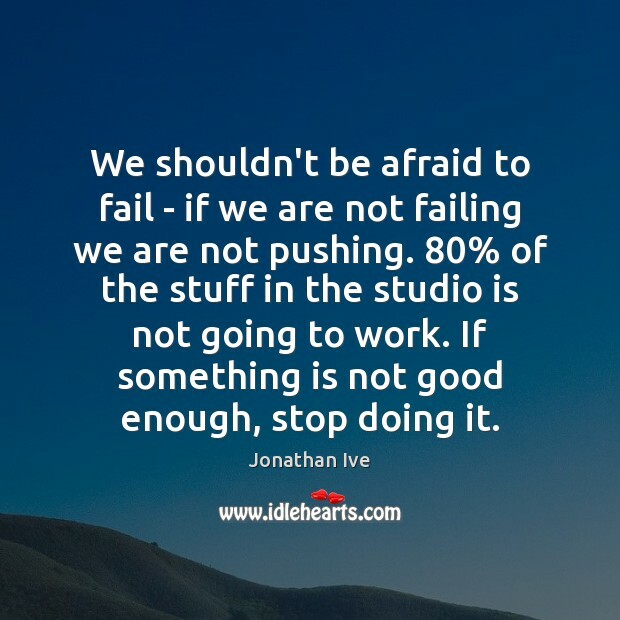 We shouldn't be afraid to fail - if we are not failing we are not pushing. 80% of the stuff in the studio is not going to work. If something is not good enough, stop doing it. Trust your imagination. Don't be afraid to fail. Write. Revise. Revise. Revise. I wasn't afraid to fail. 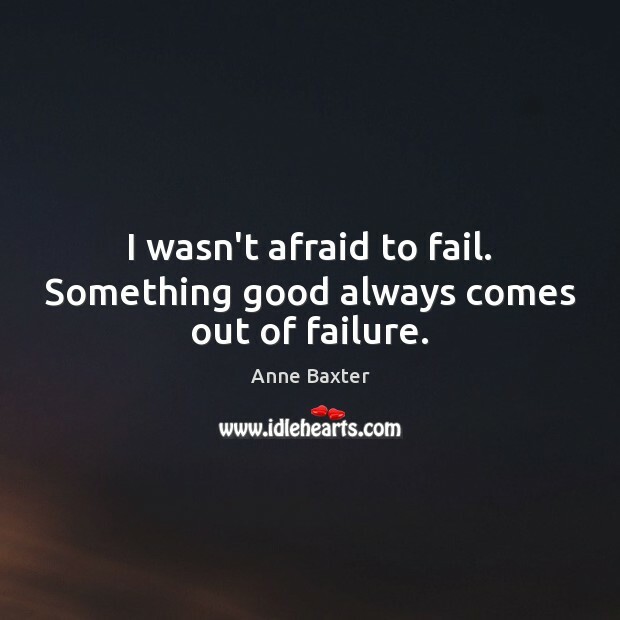 Something good always comes out of failure. 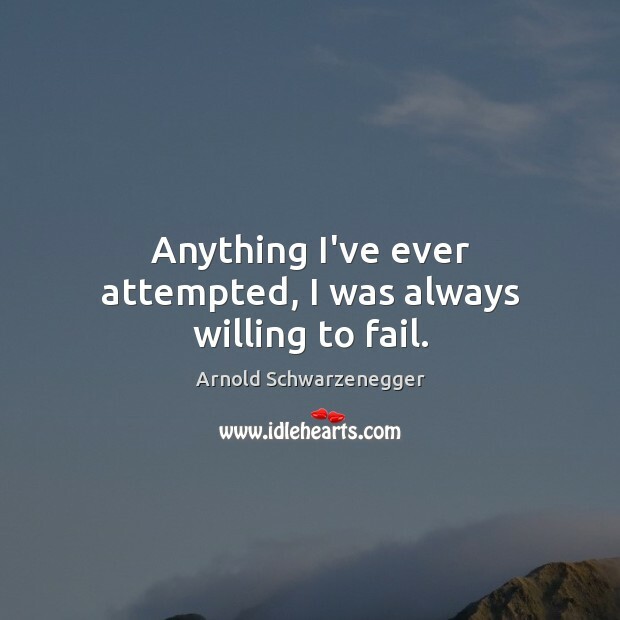 Anything I've ever attempted, I was always willing to fail. Failure is part of discovering the problem you need to be working on. 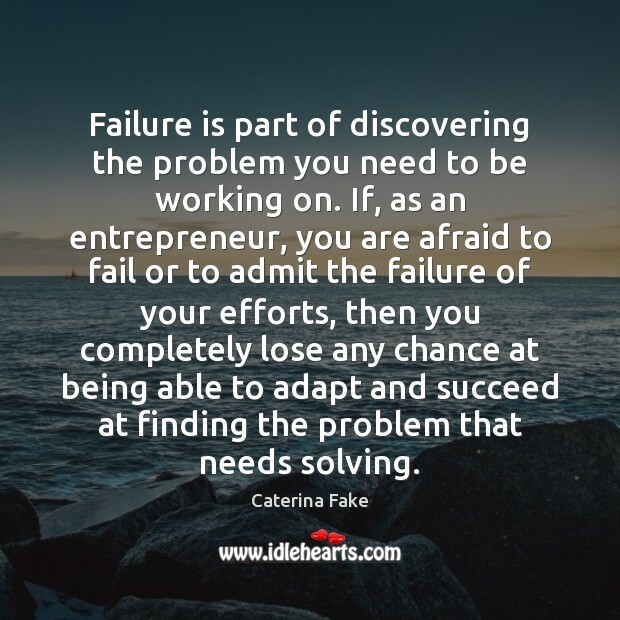 If, as an entrepreneur, you are afraid to fail or to admit the failure of your efforts, then you completely lose any chance at being able to adapt and succeed at finding the problem that needs solving. 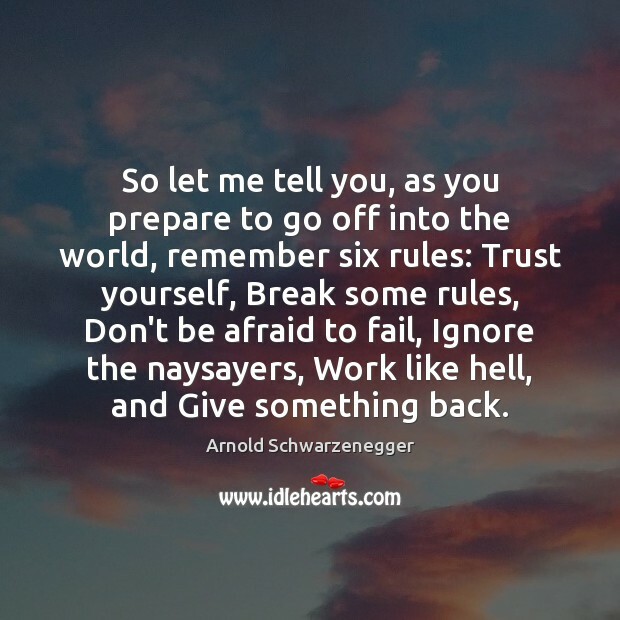 So let me tell you, as you prepare to go off into the world, remember six rules: Trust yourself, Break some rules, Don't be afraid to fail, Ignore the naysayers, Work like hell, and Give something back. Don't be afraid to fail. 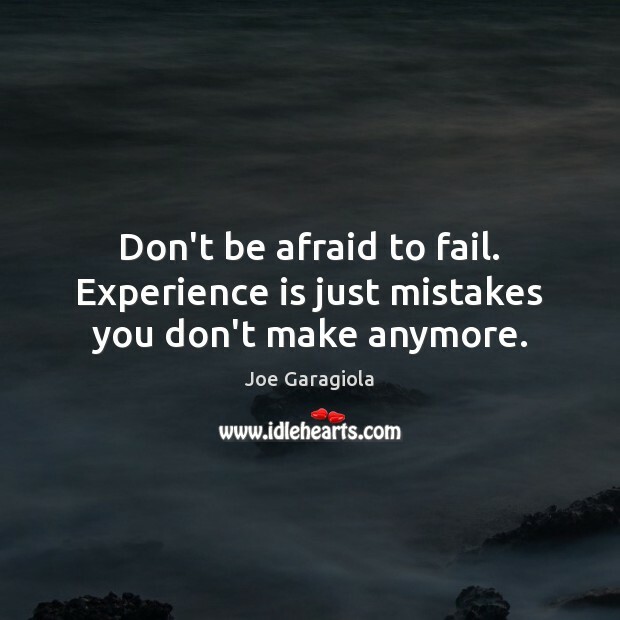 Experience is just mistakes you don't make anymore. 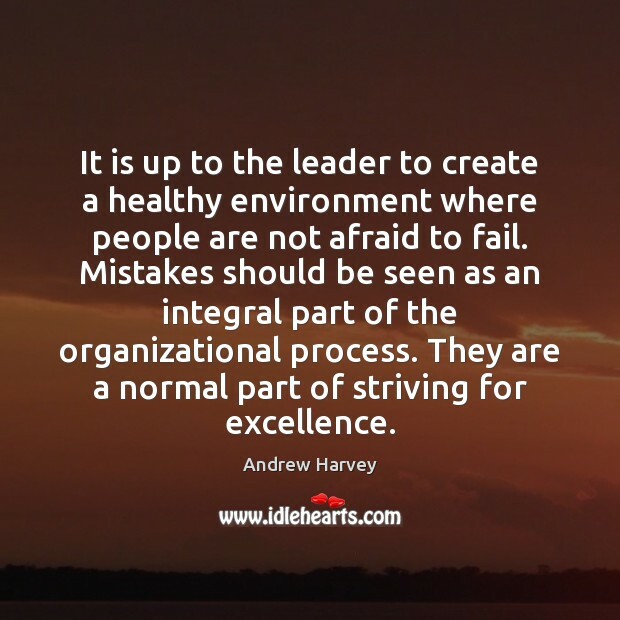 It is up to the leader to create a healthy environment where people are not afraid to fail. Mistakes should be seen as an integral part of the organizational process. They are a normal part of striving for excellence. Don't be afraid to fail. The greatest failure of all is failure to act when action is needed. 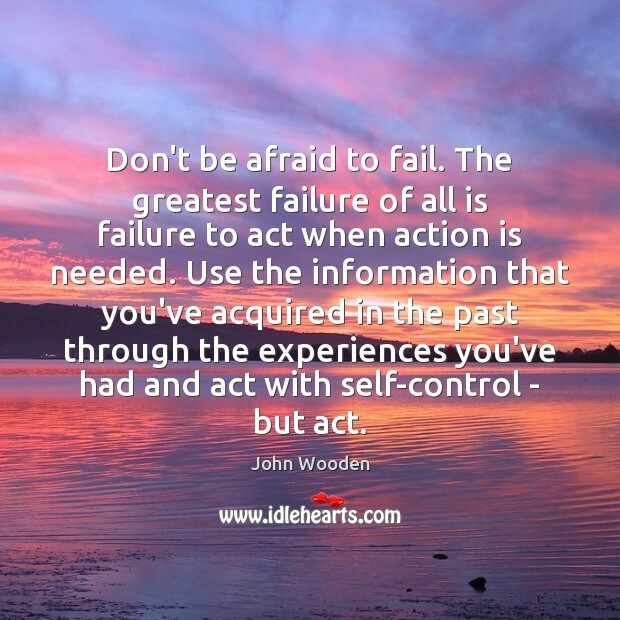 Use the information that you've acquired in the past through the experiences you've had and act with self-control - but act.